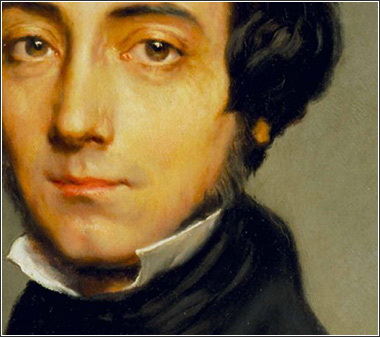 There are many ways to read Tocqueville, and my interest in writing a recent article for the Wilson Quarterly was to explore how Tocqueville might be read and understood as the premier analyst of change: specifically, of how a modern society can manage huge and inevitable changes in ways that are both optimal and graceful. The more I thought about it, the more I realized that the digital revolution we’re living through could be understood, not only as a very large structural change, but speaking very broadly as part of the same great revolution that Tocqueville grappled with in the Democracy; not merely a similar revolution but the same revolution of democratization, though embodied and expressed in a present-day context and iteration. And I’ve applied it to the situation that all of us are talking about, and enthusing about, and worrying about, in the world of higher education.